As children one of the first songs ever learned is the alphabet song. The letters of the alphabet make up every word and phrase that we use to communicate in everyday life. Before you can learn any language you should first learn the alphabet in that language. Therefore in order to learn Norwegian easily, you should first learn the Norwegian alphabet. In order to learn the Norwegian alphabet one should write out the letters of their first language (for this example English will be used). Next to each letter of the known alphabet one should write the letters/sounds of the Norwegian alphabet. Once you have your list created you should study and memorize the Norwegian alphabet by reciting it multiple times everyday. You can turn the letters into a song, like the ABC’s, in order to make memorization easier. Constant repetition will be needed to master the Norwegian alphabet. If memorizing the Norwegian alphabet is difficult for you to do, you can make flashcards with your language on one side and the Norwegian alphabet on the other. Quizzing yourself or finding a friend to help quiz you can make memorizing the alphabet a little easier and more fun. You can help someone else learn to speak Norwegian with you! Pronunciation is key to mastering a new language. If you are unsure about how to pronounce each letter you should Youtube the correct pronunciation of certain letters by a native Norwegian speaker. Since the ultimate goal of learning any new language is communication, correct pronunciation of the basic alphabet will be crucial in your ability to understand others and for them to understand you. Once you think you can correctly pronounce each letter of the Norwegian alphabet you should record yourself reciting the alphabet and listen to it carefully. By recording and listening to the recording you can get a better sense of how other people hear you, which can help with your ability to communicate with others. If you have a friend trying to learn the language or if you know someone that already speaks the language try practicing the alphabet with them. This can help you hear the pronunciation of others. It can also help you understand how you sound to others by looking for nonverbal hints that they may give or by their verbal feedback. Once you have mastered the Norwegian alphabet and the correct pronunciation of each letter it is important to start learning vocabulary in order to progress towards your goal of communication. This website http://norsk.rkevin.com/learn-the-Norwegian-alphabets-and-pronunciation/ offers lessons that are broken down by topic. For example, lesson 1 includes words and phrases to use when meeting people, small talk, and numbers from one to ten. Since communication is the desired outcome when learning a new language it is critical to learn the key phrases used when meeting people. You are going to want to be able to greet people in this new language before you can engage in other conversations so this is an excellent lesson to start with. 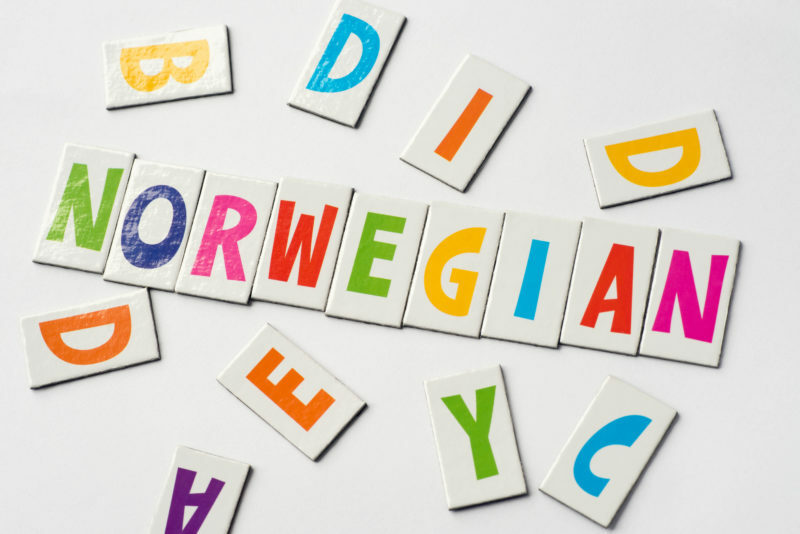 In order to learn the Norwegian language quickly it is also important to learn key phrases that you would use in everyday life, such as days of the week, weather, greetings, seasons, and other small talk. These are all covered in the first six lessons on the above website. Each lesson breaks down key phrases in the Norwegian language and the English language. Before progressing too quickly with the lessons it is important to make sure you have correct pronunciation. Make sure you can pronounce each word and phrase correctly before moving onto the next lesson. Try recording your voice and listening to it or practicing the language with a friend. While speaking and listening is most likely your goal, it is beneficial to also write down the expressions to help you memorize the phrases and to help with spelling. After mastering the above topics you can move onto other lessons that are categorized into more specific areas. For example lessons ten through twelve all provide information about travel. They use basic phrases like “at the airport,” but also use keywords that you would need to know if you traveled to Norway, such as “Today we shall travel by plane from Oslo to Trondheim.” These lessons combine the culture and landscape of Norway with the Norwegian language. Each lesson gets gradually more difficult and uses words and phrases from the prior lessons to enrich your language experience. For instance, Lesson 24 is labeled “A Walk through Trondheim.” It includes more advanced phrases then previous lessons but also includes words and phrases from previous lessons about weather, verbs, travel plans, activities, and small talk. These lessons are ordered and structured to help the learner advance in their knowledge and understanding of the Norwegian language. There are thirty seven lessons in total on the website that progress from basic words, to phrases, and to full sentences that include Norwegian experiences and landscapes. The lessons towards the end include visiting different parts of Norway like the Kristiansand Zoo, Rogaland, Telemark, and Hordaland. Before progressing too quickly with lessons all learners should be sure that they continually practice the alphabet, correct pronunciation of simple words and phrases, and previous lesson topics. Communication is key to learning a new language and therefore learners should always take every opportunity they are offered to practice speaking and listening to the language. Whether practicing the language with another new learner or a native speaker be sure to pronounce each word as correctly as possible so that when you do encounter a native speaker the communication will be flawless. The above mentioned website breaks down the Norwegian language by lesson so that the learner can practice memorizing the phrases and pronunciation before moving onto more difficult content. Practicing the language as frequently as possible will help to master the language and make you feel more comfortable speaking it.